T he December LSAT gets somewhat of a bad rep among some 1L’s-to-be. Sure, it offers the last chance of meeting application deadlines at some schools, but with rolling admissions it is admittedly less than ideal. By January, half the class at GULC may be full. In reality, taking the test in December is not as bad as it seems, but the whole ordeal would have been over by now if only you hadn’t bombed the Zones game in October. You could be focusing on polishing your applications, for instance, adding the final touches to a personal statement that strikes just the right balance between humility and smugness. Alas, it’s not over until it’s over. To add insult to the injury, December LSAT scores typically arrive around Christmas. This can cut either way. Naturally, you expect a present: you’ve been a good boy (or girl), did all of your homework, stalked your LSAT instructor after class, and followed his advice to take all 66 practice tests in one sitting. Anything less than a 180, you say, would be equivalent to Santa leaving coal in your stockings. And nobody wants that, especially you. You are just dying to turn your LSAT books into firewood. Or cash. But if there is one thing that saves the December test from being a complete downer, it is… Thanksgiving! You see, nobody else has a 4-day vacation right before the test. You no longer need to take sick days off to recite logical fallacies, or use your hard-earned vacation hours to diagram conditional logic. You can do all that, and more, during Thanksgiving. The Thanksgiving week can be a long one, but you need not resign yourself to enduring yet another one. The LSAT is your secret weapon. Would you rather help your mom baste that turkey for the n-th time, or study for the LSAT? The LSAT wins. How about helping your dad sync music from his old iPod to his new iPad or whatever? Nope, the LSAT still wins. Perhaps it’s fun discussing politics with people on the opposite end of the political spectrum? It’s not; you’d rather eat turkey stuffed with sand. 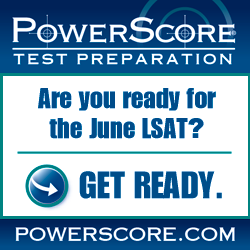 Thankfully, you don’t have to: you have an LSAT to prepare for. The LSAT score is the only across-the-board numerical indicator that law schools have when comparing applicants. In other words, your GPA can lie, but your LSAT score cannot. Sort of. Want to be gainfully employed? You’ve heard that half the graduating class at XYZ law school is unemployed. You don’t just want to go to a prestigious law school. You need to. When presented with a top-1% score, many admissions officers will happily turn a blind eye to that late night run-in with the cops that you had during your freshman year. You’re much more on top of things now, but your folks are not quite convinced (and neither is Yale). Nothing like a 180 to teach them all a lesson! If left alone this one time, you can give your extended family bragging rights for a full year (or more). In fact, making small talk at fundraisers will no longer be a chore: they will love it. You probably don’t even need to get them anything for Christmas; a top-1% will do just fine. How you spend the next four days can prove far more pivotal than what you did for four years in college. This may be a hard pill to swallow, especially if your folks forked over $200,000 for your tuition. All the more reason to make it count. Speaking of money, a high LSAT score can mean serious dough, as in “you-can-go-to-law-school-for-free” serious. Now ask your family if your undivided attention at Thanksgiving is worth more than a hundred grand. If they say, “Yes” – reconsider your plans to go to law school and become a psychotherapist. Or a talk show host. So skip the turkey lines and stock up on some Ramen noodles. This one year, and one year only, you can thank the LSAT for saving you from Thanksgiving!